Charles W. Collett, of Sun City Center, Florida, age 72, beloved husband and father, passed away December 22, 2016 after a courageous battle with cancer. He was born in Richmond, Va. to the late Charles and Margaret Collett. As a child of a military family, Chuck lived in many parts of the country and spent two years in Libya. He received a golf scholarship to George Washington University where he earned his Bachelor’s Degree in Political Science in 1969, then his Juris Doctorate Law degree. He located to Annapolis, Md., where he was counsel to Thomas Hunter Lowe, the Maryland Speaker of the House. In 1971 he relocated to Easton, Md., and went into private law practice. Chuck was Talbot County State’s Attorney from 1974 to 1976, and County Attorney from 1976 to1981. In 1981 Chuck stopped practicing law to become president of Nautical Properties Inc., during which time he developed six marinas on the East Coast creating a concept of high-end marina facilities and slip availability and consulting to marina businesses. 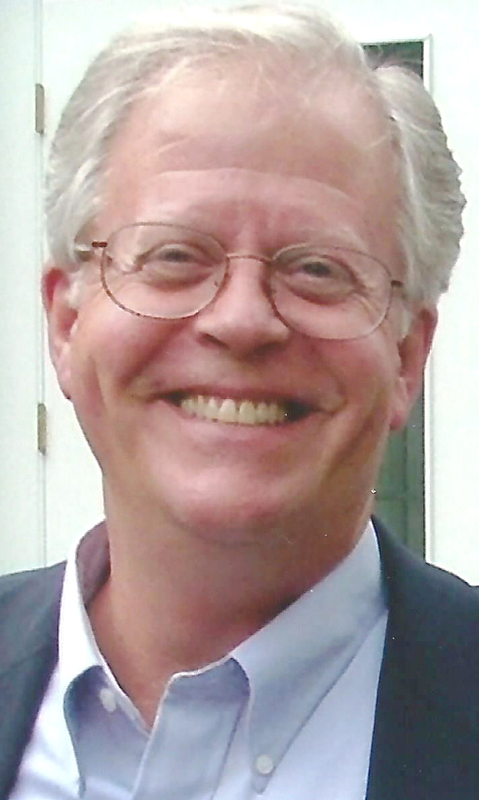 Chuck returned to Easton in 1985 and resumed the practice of law. In 2006 Chuck married Kris, and in 2007 they moved to Sun City Center, Fla., where he was able to enjoy his lifelong passion for golf and play to his heart’s content as a member of Renaissance. In 2010 Chuck was elected to the Sun City Center Community Association Board of Directors where he served as a director from 2010 to 2016. He was also vice president from 2012 to 2013. Chuck was a devoted member of the community and worked actively for improvements. He was a member of the Performing Arts Club and performed in a number of musical song books and musical comedies. His love of singing also led him to the Friends Chorus where he was a member for a number of years. In 2016 Chuck performed in the King’s Point Follies as a featured singer. In the last few years Chuck and Kris traveled much of the world and were able to indulge his adventurous spirit by visiting historic and exotic places and meeting people from the world over. The joy in this travel made their life together so very rich. Throughout much of his life Chuck was an active hunter on the Eastern Shore of Maryland, and never lost his interest in the sport. Chuck is survived by his devoted wife Kris; four children whom he loved so much — two sons, Charles (Natalie), Thomas, two daughters, Amanda Collett and Alexandra (John) Rock; a granddaughter, Elizabeth Rock; his brother Jeff (Susan) Collett; and his father-in-law, Bob (Betty) Wicklund. A Viewing will be held from 2 to 3 p.m., followed by a Funeral Service at 3 p.m. on Friday, Dec. 30, at Sun City Center Funeral Home, 1851 Rickenbacker Drive, Sun City Center, Fla., 813-634-9900. 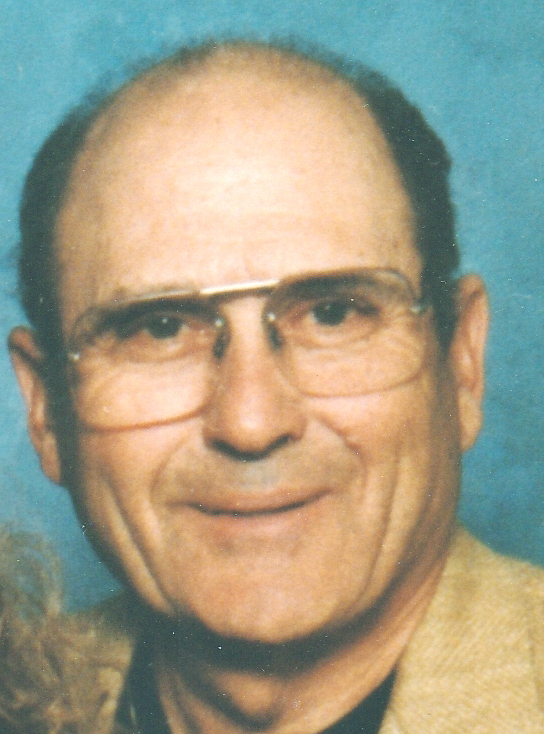 John Peter D’Avella, 87, Sun City Center, Fla. passed away December 11, 2016. He was born in Brooklyn, N.Y. September 17, 1929. His family moved to Orlando in 1962. John was predeceased by his parents and three older brothers. He is survived by Ann, his wife of 43 years; 10 children: Tim, Sharon, John, Ellen, Pete, Joe, Carol, Anne, Theresa and Robert. He has a large number of grandchildren and great-grandchildren. John served in the U.S. Air Force during the Korean War as an aircraft electrical instructor. After the service he was a senior engineering technical writer and a publication manager in the aerospace industry. John was the owner of a lawn equipment sales and service business in Orlando prior to retiring. He was a life-long Roman Catholic who served the church as a volunteer in many areas, most notably as a Cantor leading congregational singing during Mass. He taught himself how to play different instruments, including the autoharp. John enjoyed entertaining, especially with his family. He had a special love for the sick, elderly and children. It was his pleasure to entertain them. A daily trip to the community pool was his great delight. In lieu of flowers, donations may be made to Our Lady of Guadalupe Catholic Mission, in John’s name. Nancy Lee Gambrell Hilton, 68, passed away peacefully in her sleep on December 17, 2016. She is survived by her daughters Melissa Driggers and Stacey Ramirez; 12 grandchildren and three great-grandchildren; her sisters Bonnie, Linda and Helen; her brothers Norman, Roger, Billy, Jerry, Bobby and Ricky. She was preceded in death by her parents James Norman and Marjorie Elizabeth Gambrell; her brother John Wayne Gambrell and her daughter Bobbi Jo Hilton. Memorial services will be held on Jan. 13, 2017. For information regarding the service contact the family. 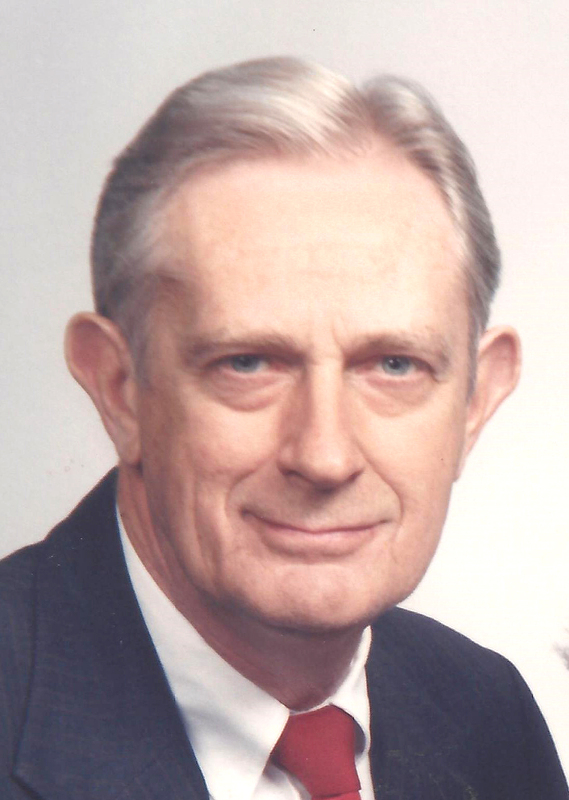 Donald S. Lawhorn (Don), 91, of Sun City Center, Florida passed away December 18, 2016. He was born in Indianapolis, Indiana on September 7, 1925. After graduation from high school he joined the United States Army Air Force in 1943. He flew 29 missions over German-occupied territory, including many double missions. Missions were flown out of Italy with the 15th Air Force during World War II. He graduated from Indiana University. He worked for 40 years in the Investment operations of three life insurance companies. His last was as Senior VP at Indianapolis Life Insurance as Chief Investment Officer. He was also President of Indianapolis Life Investment Company. He was married for 56 years to Juanita E. Freeland. They had three children, Cindy Romine, Debby Modlin and Bruce Lawhorn. They were lucky to have six grandchildren — one girl and five boys. Don also was glad to have two great-grandsons and a great-granddaughter. Don and Juanita spent their retirement living between Indianapolis, Indiana and Sun City Center, Florida. Arrangements by Zipperer’s Funeral Home. Shirley F. Christopher Lopez, 78, of Ruskin, has joined her Lord and Savior in Christ on Dec. 22, 2016. She is survived by many loved ones. Shirley was born in Dothan Alabama on August 22, 1938. She moved to Ruskin Florida in 1946. She attended Maranatha Temple Church of God for many years. She also at times would visit her friends and family at New Beginnings Fellowship Church of Ruskin, Florida. Shirley loved good food and socializing, enjoyed going to church and listening to Jimmy Swaggart music. The funeral service will be held at 11 a.m. on Dec. 29, at Maranatha Temple Church of God, 101 6th Ave. S.E., Ruskin, FL 33570. Burial will follow services at Ruskin Memorial Park Cemetery. In lieu of flowers, memorial donations may be sent to LifePath Hospice House, Sun City Center. Arrangements by Zipperer’s Funeral Home. Dominick Scali, 91, of Sun City Center, Fla., passed away Dec. 25, 2016. He was born July 23, 1925 in Italy. 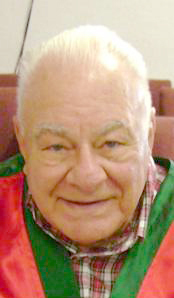 Dominick owned and operated a dry cleaning establishment for 25 years and was very active in the Italian Club, New York Club, Sun City Center Men’s Club and volunteered as an usher at Prince of Peace Catholic Church. Dominick was an avid golfer for 25 years and had two holes in one. He loved gardening, playing cards and games. He was loved by all and will be missed and never forgotten. He is survived by his wife of 65 years Phyllis; his daughter Diane (Nick) DeRosa; his son Anthony Scali; four grandchildren, Michelle (Joseph) Sbiroli, Nicholas (Anne Marie) DeRosa, Natasha (Matt) Scali and Anthony Scali; six great-grandchildren, Donovan and Daniel Sbiroli, Mackenzie, Jaidyn and Sydney DeRosa, and Jake Lacher; and his brother Joseph Scali. The family will receive friends from 9:30 to 10:30 a.m. Friday, Dec. 30, 2016 at Sun City Center Funeral Home, 1851 Rickenbacker Drive, Sun City Center, Fla. Funeral Mass will be at 11 a.m. Friday, Dec. 30, 2016 at Prince of Peace Catholic Church, 702 Valley Forge Blvd., Sun City Center, Fla. Interment will be in Pinelawn Cemetery, Farmingdale, N.Y. In lieu of flowers, memorials may be made to Sun City Center Emergency Squad, 720 Ray Watson Drive, Sun City Center, FL 33573.